Nine-bedroom Hanover Grange villa, is a great addition to the Tryall Club Estate Villas. 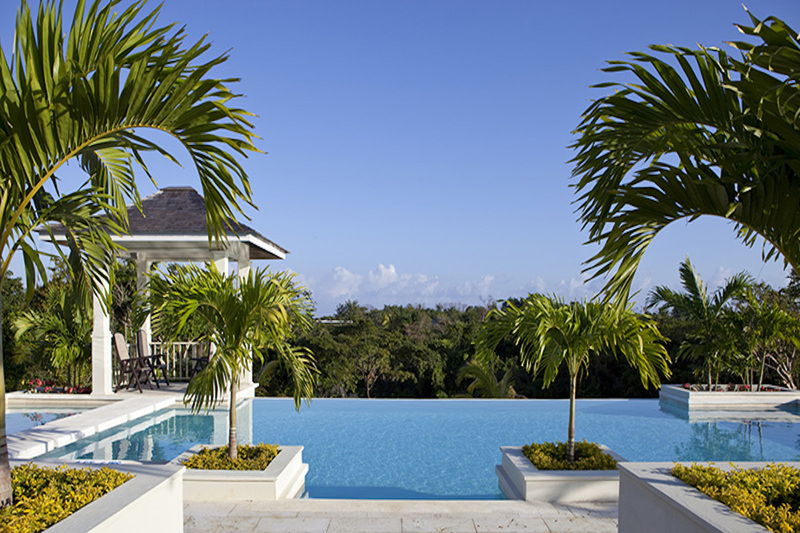 It’s become one of the most exclusive private estate in Jamaica, renowned for its privacy and security. Designed and built by Jamaican-born, Theresa Roberts, who has lived in the United Kingdom for many years, becoming one of Europe’s most prominent collectors of Jamaican art. The contemporary house design showcases works of art from Theresa’s international painting and sculpture collection and the Long Gallery exclusively features selections from her Jamaica art collection. Hanover Grange sits on manicured grounds with an infinity edge pool, a formal dining room that can seat up to 30 guests, embroidered Ralph Lauren linens, sea views from most every room. The staff will leave you wanting for nothing. Much of the food prepared for guests is produced in the villa’s organic garden..things like fresh herbs and vegetables such as carrots, cucumbers, bak choi, tomatoes and a wide variety of exotic fruits. There is also a beautiful flower garden used to decorate the home. The house comes with golf carts for guests to tool around the resort, air-conditioning, king size beds, and wireless internet.